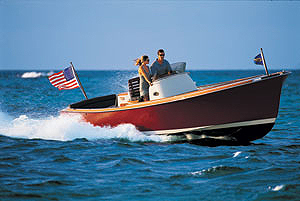 If you aren't familiar with the Limestone brand, a quick trip to Georgian Bay Ontario, or the Coast's of Massachusetts or Maine will demonstrate just how popular these exceptionally crafted boats are. Built in Ontario by Medeiros Boatworks, Limestone's were the boat of choice for decades by multiple government agencies (OPP, RCMP, etc) thanks to their rock-solid construction, durability and superb ride quality. 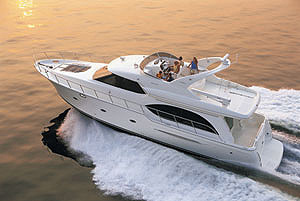 For the same reasons, Limestone's are regarded as the perfect boat for Island Cottagers/commuters. The spacious cockpits, ample seating, one-piece fiberglass floor, and of course the performance, are all ideal for shuttling people and gear to your cottage; or just cruising to your favorite anchorage in comfort. This particular 22 Closed Deck is great opportunity to acquire a late model (2000 & newer) Limestone runabout in excellent condition. In the height of Mederios' production in the late eighties and through the nineties, the closed deck series consisted of the 20' & 22' models, with production tapering off into the 2000's. 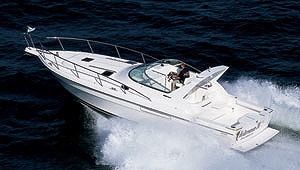 As a 2003, this particular 22 comes with big upgraded power- Mercruiser 350 Mag with the Bravo 3 (dual-prop) drive for superb dockside handling and cruising. 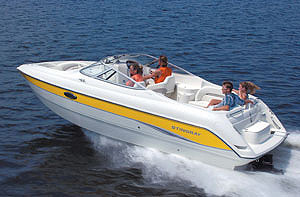 Most 22's were built with the Mercruiser 5.0L Alpha 1 engine package. 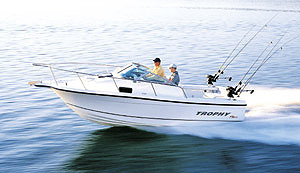 With the 350 and Bravo 3, you can load the boat up with people and gear and still comfortably cruise in the 25 mph range in 3-4' chop. This particular 22 has always been kept in Georgian Bay and very well cared for. Over $4,000 was just invested into the boat including- full sterndrive and transom assembly service, engine tune-up, full buff & wax, all teak refinished, canvas water-proofed, and fully detailed. All systems are in great working order, and ready for the next owner. 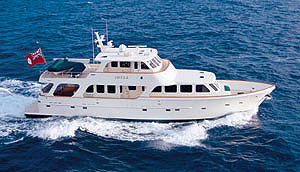 Please contact us today for more details on this great boat, or to book your viewing.